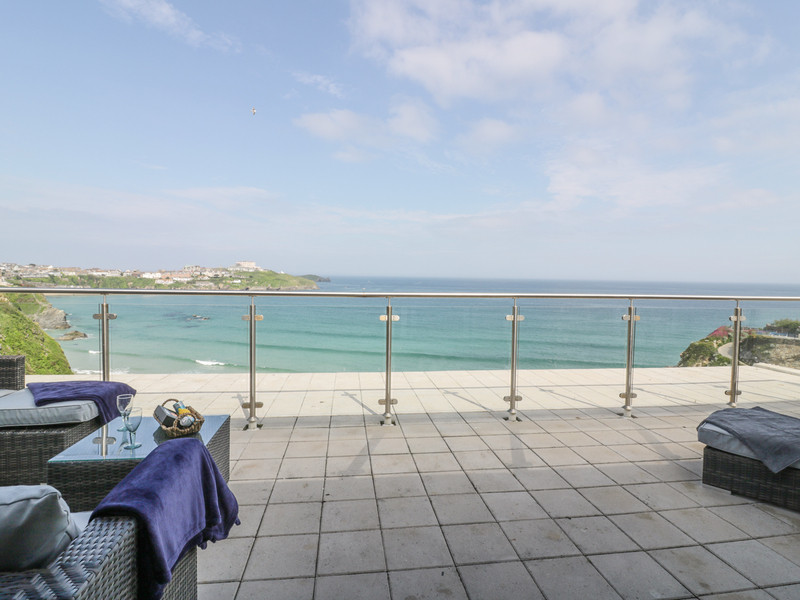 17C Cliff Road is a stunning second floor apartment in the town of Newquay in Cornwall. The apartment can sleep four people in two bedrooms which are made up of a double with en-suite shower room and a king-size double which is zip/link and a separate bathroom. The rest of the apartment is made up of an open plan living room with kitchen, sitting and dining areas. To the outside is off road permit parking for one car and a balcony with loungers, table and chairs accommodating several people. Set in a wonderful situation, 17C Cliff Road is a great place to enjoy at any time of the year. Gas central heating. Electric cooker, microwave, fridge/freezer, washing machine, dishwasher, TV with Freeview, DVD, Wi Fi, selection of books, games and DVD's. Fuel and power inc. in rent. Bed linen and towels inc. in rent. Parking in public car park with a parking permit. Balcony with loungers , table and chairs. Sorry, no pets or smoking. Shop and pub 5 mins walk. Note; owner provides permit for car park.